October | 2012 | Building Solutions. discussion and the exchange of interesting ideas. who preside over these exercises in frustration. 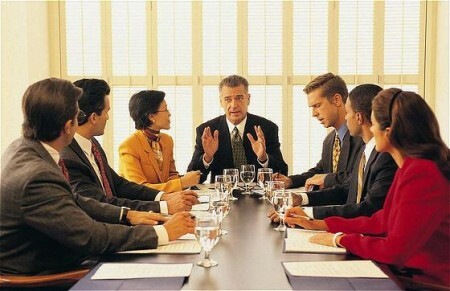 into the other two types of meetings, but give the speaker a tight time limit. Here are a lucky 13 other ideas to keep meetings alive and participants awake. Believe me, your colleagues will be grateful. discussed, ask someone else to facilitate so you can add your voice. and watch the energy level perk up. laptops), and methods for resolving disagreements. a. What would you do if you knew you couldn’t fail? group, let’s figure out which one is the lie. As much as success stories buoy confidence, failure stories are good teachers. take the sting out of their revelations. compelled to speak, and then your discussion will take off. involvement, not the content of what they said. deciding policies or procedures, they have more of a stake in seeing them work. prematurely; you will get better responses. mistakes, but well worth it.